Richmond's most popular arts and culture program, RVA First Fridays, showcases nearly 40 venues in downtown Richmond. The University and greater Richmond communities are invited to begin each art walk during the academic year at UR Downtown for refreshments and entertainment. On Friday, February 1, join us for the opening celebration of Hope, Faith, and Courage: Early Civil Rights Leaders in Richmond. 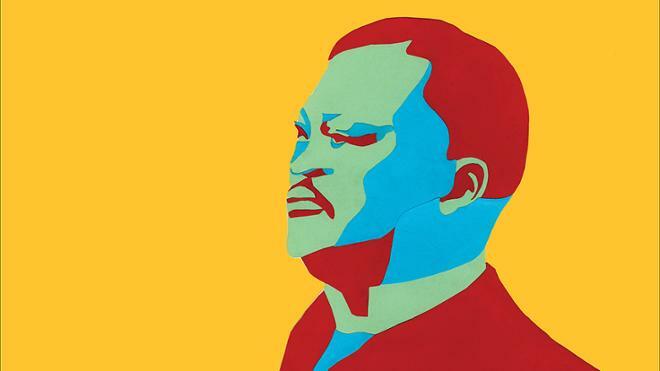 The exhibition features cut-paper portraits created by University of Richmond students in “Representing Civil Rights Richmond,” a First-Year Seminar taught by professors Laura Browder and Patricia Herrera. Portraits by Open High School students in U.S. History courses taught by Chad Ingold, recipient of a Partners in the Arts Engaging Creative Thinkers Award, are also part of the exhibition. Jen Thomas, book arts director at the University of Richmond’s Boatwright Library, guided the students in the creation of their portraits. Shuttles will run from Tyler Haynes Commons to UR Downtown at 5 p.m. and 6 p.m. and return to campus at 6:30 p.m. and 7:30 p.m. Richmond on Broad Café will be open and serving dinner specials until 7:30 p.m.